Illuminate your complexion with Revolution PRO Skin Finish. These mesmerising domed baked highlighting powders are formulated with ultra-fine shimmer that infuses skin with radiance. In three stunning shades, they can be dusted onto the high points of the face and body or used all over for a lit-from-within effect. Explore the entire range of Highlighters available on Nykaa. 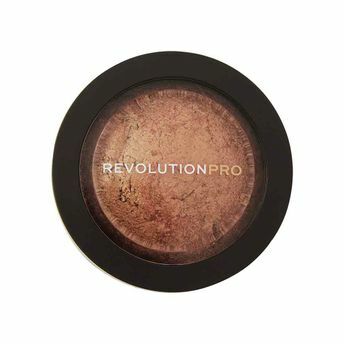 Shop more Revolution Pro products here.You can browse through the complete world of Revolution Pro Highlighters .Alternatively, you can also find many more products from the Revolution Pro Skin Finish range.